The HyperX Cloud Alpha headset is everything you need in a top-tier gaming headset. It’s got style, great sound, and a cheap price tag. However, if you absolutely despise wires holding you down then the Cloud Alpha, and HyperX as a whole, just won’t do. That’s all about to change thanks to the HyperX Cloud Flight – the company’s first wireless gaming headset. Want your debutante fingers to grace only the most lavish of keys? Here are the best gaming keyboards going. 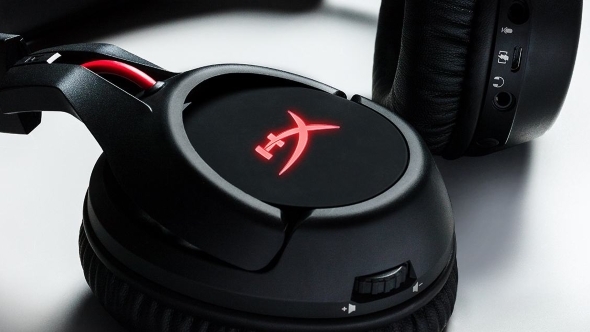 Kingston’s gaming brand, HyperX, have held the top spot in our best gaming headset roundup for… well, years. If they can bring the same great concepts seen in other Cloud products over to the newly-announced Flight then it’s going to be the wireless headset to beat in 2018. 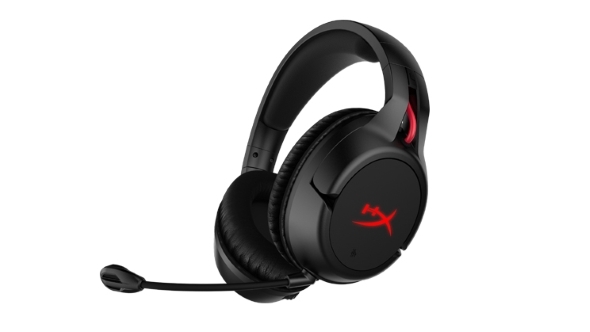 The Cloud Flight headset features 50mm dynamic drivers, a detachable analog cable that bumps the frequency response from 20 – 20,000Hz to 15 – 23,000Hz when connected, and a closed-back design that weighs only 300g. It also features some LEDs that can be turned on, off, or to breathing, as preferred. Turning these off, however, will net you double the battery life – I know which option I would choose. Speaking of battery life, the single charge life of the Cloud Flight is a whopping 30 hours with the LEDs off, which is nearly double that of the Razer Threshers – the current wireless champ. While the weighty Thresher’s battery life isn’t a match for the Cloud Flight, it does have fantastic audio quality and really crisp sound, which makes for tough competition to the newbie. The noise-cancelling microphone of the Cloud Flight is detachable, and the basic function controls to adjust sound and to mute it are right there on the headset itself. We’ll have to give these a spin ourselves to see how they fare against the competition, and how they sound to our fastidious earholes. Based on HyperX’s past performance, I’m hoping to see some really stellar wireless performance from the Cloud Flights. Alongside the Cloud Flights, HyperX also released a few more goodies at CES 2018. The HyperX Alloy Elite RGB keyboard made an appearance, which should please fans of the Alloy FPS who fancy an update. 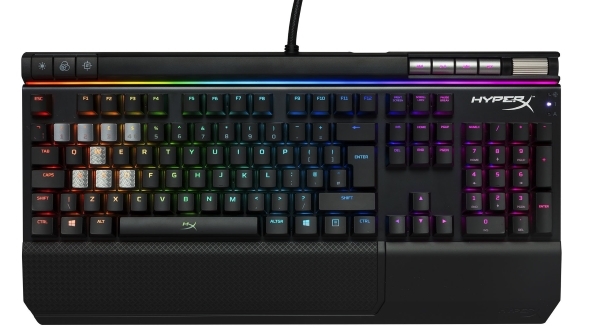 It features CherryMX switches, a steel frame, a new light bar along the top, and even dedicated media keys this time around. Also announced was the Pulsefire Surge RGB mouse, which features 360° RGB lighting, a Pixart 3389 sensor that can reach up to 16,000 DPI, and full support for HyperX’s NGenuity software. There’s plenty to look forward to coming very soon from the HyperX camp. They like to take their time on new product designs, but this has certainly not been detrimental to their performance so far. The HyperX Cloud Flight headset is available now at $160, the Alloy Elite RGB will arrive awfully soon at $170, and finally the Pulsefire Surge RGB mouse will join sometime in Q2 for $70.